Hi, I’m Alison and my husband and I decided to have a bit of a challenge. 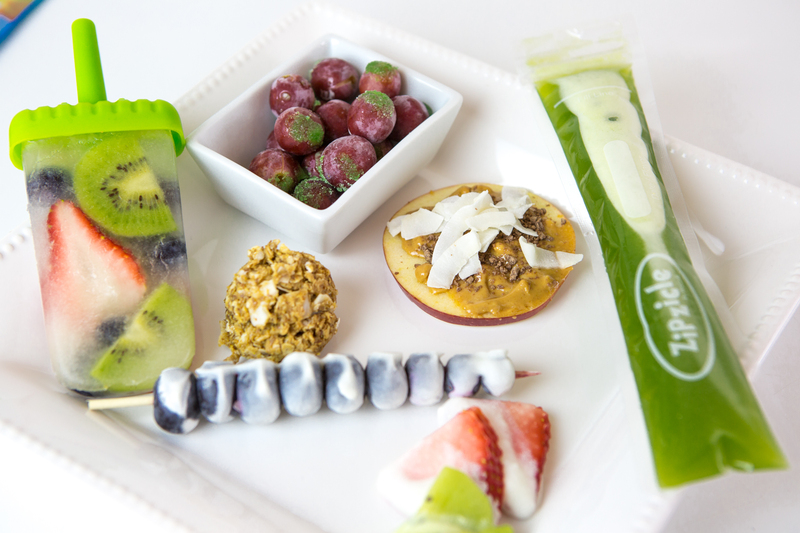 We wanted to see who can come up with the healthiest and tastiest kids snacks. We had a tough crowd to please. Our kids. They were the ultimate judges and honestly let us know what they taught. Check out this video over on Millennial Moms to find the ingredients and see which were approved by the kids. #1 Energy bits. These little bits of goodness were a huge hit. 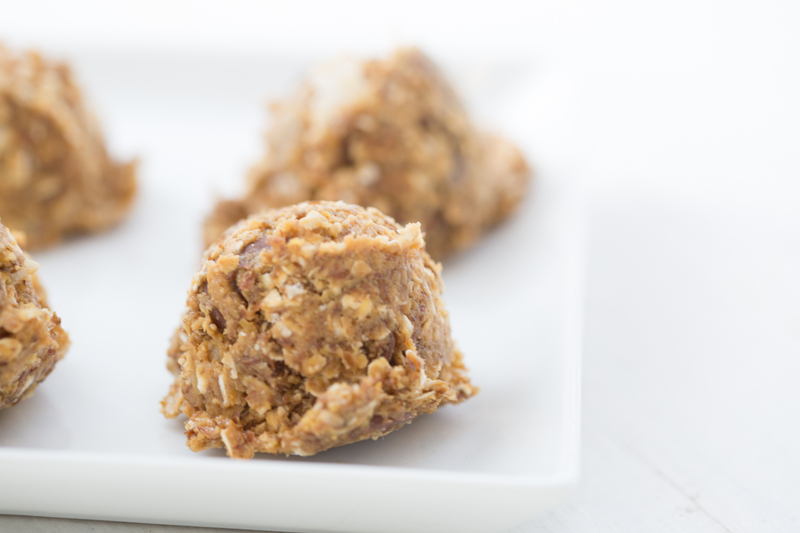 Made with oatmeal, honey and other super heathy ingredients – these treats were gobbled up so quickly! 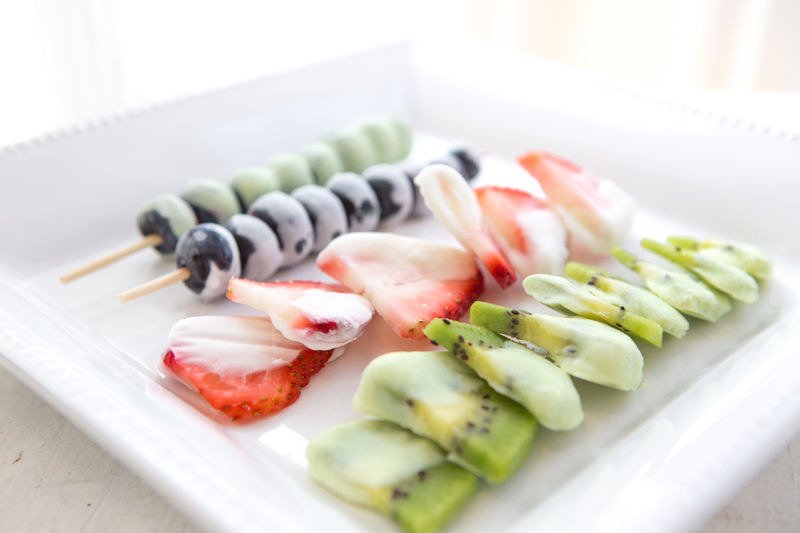 #2 Frozen Fruit Dippers! 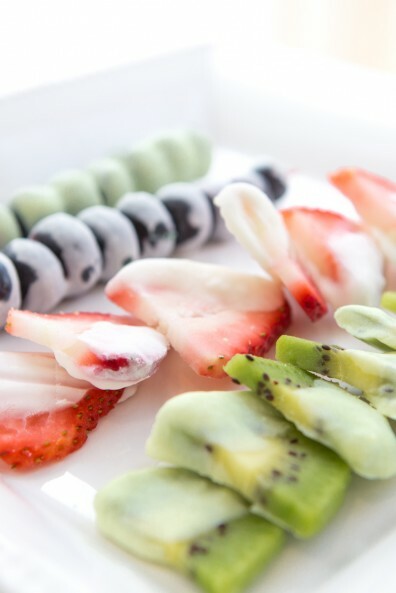 Greek yogurt and fruit is all that is needed for this one. Place in freezer and you’ve got cold little snacks. #3 frozen grapes dipped in a bit of Jello. This picture makes it look like a ton of jello was placed on it, but there was just a dab. 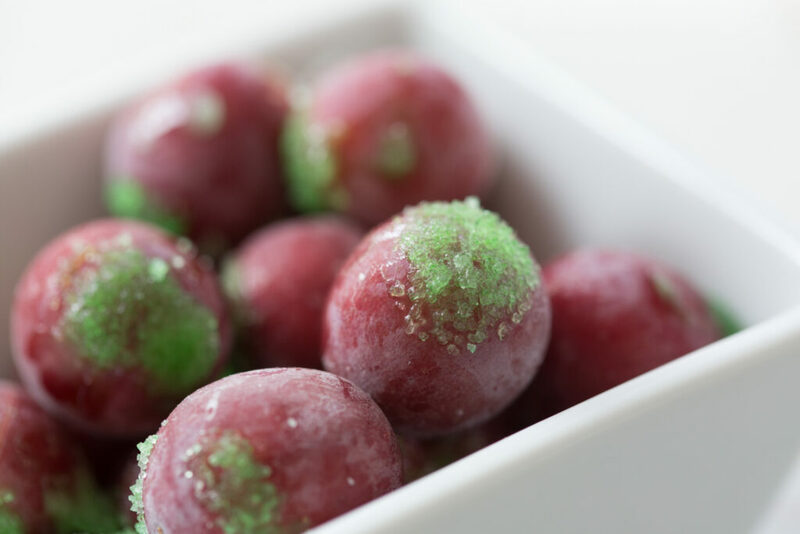 It just gave it a burst of flavor that meshed so beautifully with the grape punch that melted in your mouth. 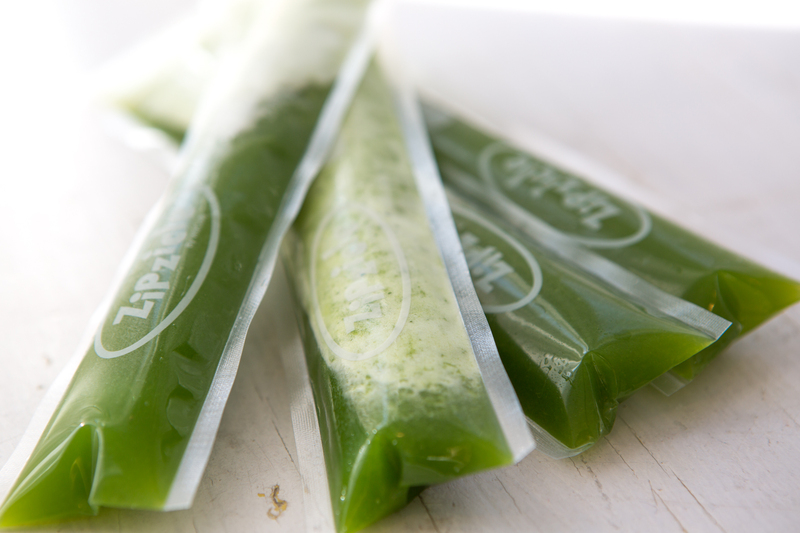 #4 Pina’Kale’lada – Bring on the kale. Anytime I can sneak this angry lettuce into anything the kids eat is called a success. We’ve actually been drinking these for about 2 months now and the kids love them. Frozen like a popsicle or in a big mug. #5 – This was my favorite. 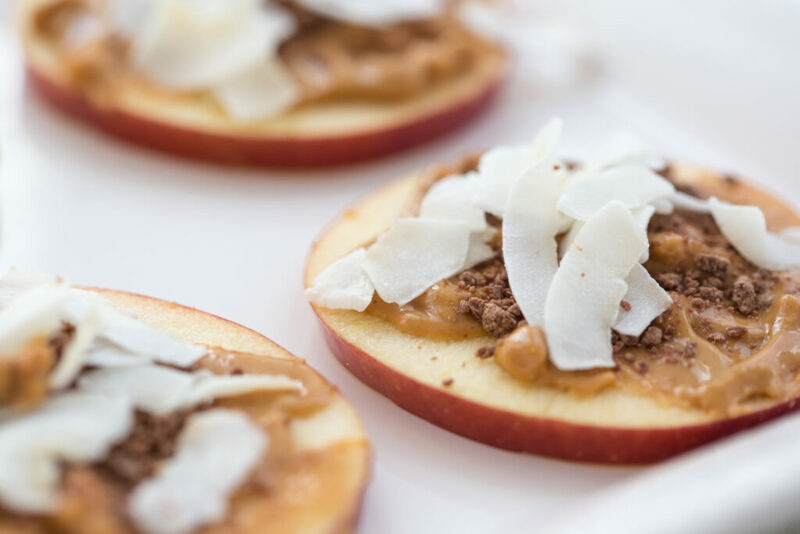 Apple cookies. A bit of coconut, natural PB and chocolate shavings. I was in heaven. I do think this was one of my kids favorite too. #6 This would be the one on the left. I didn’t take a pic of it on it’s own. A coconut water fruit popsicle. YUM! So, here’s a little cheat. The kids LOVED them all. In fact, we didn’t have any leftovers. They even asked for more. This was a fun little experiment and I will continue trying more kale or other crazy healthy foods in my kids diet.